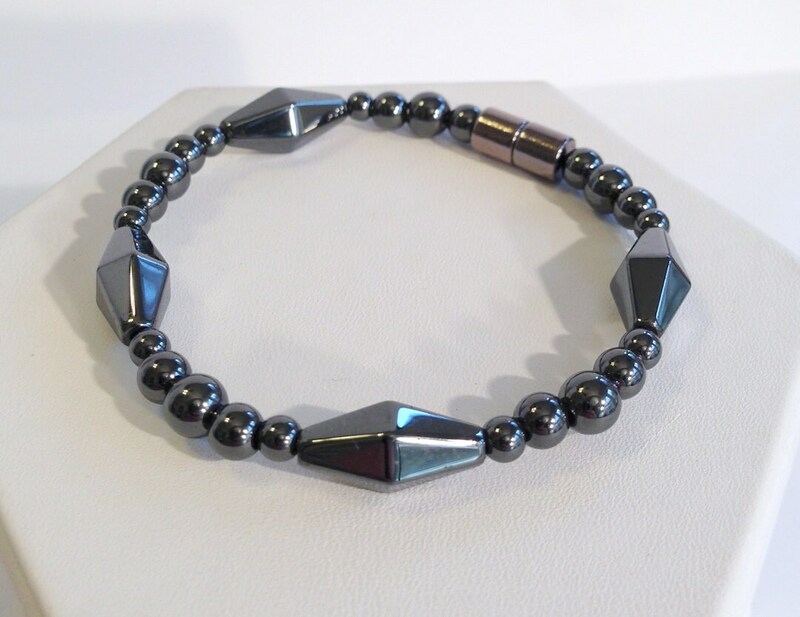 Magnetic hematite bracelet with round beads and geometric diamond shaped beads. Modern and fun. 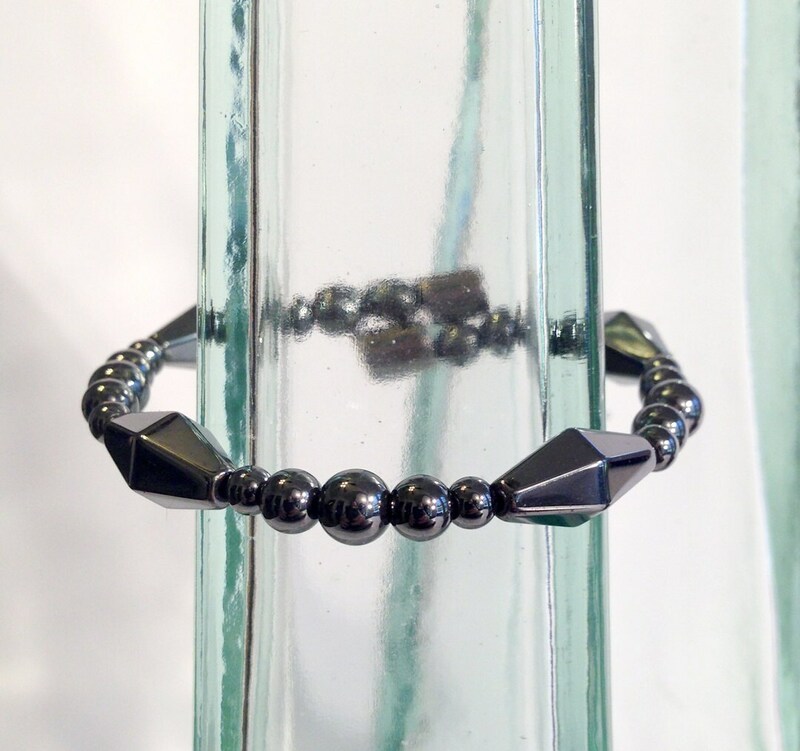 Diamond shaped beads are 8mm wide by 16mm long. The entire piece is magnetic. Looks amazing with casual style or dressed up. Fun modern geometric style is a little bit tribal and a little bit futuristic in look.